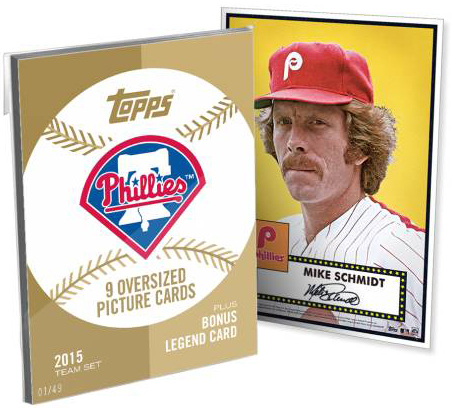 2015 Topps '52 Tribute is an online-exclusive set of over-sized cards and posters inspired by the set credited as starting it all, 1952 Topps Baseball. Each featured player comes in a variety of formats, all of which are limited editions. Players can be purchased individually as 10x14 posters. Regular editions are numbered to 99 and are being sold for $29.99 each. One-of-a-kind Gold versions run $99.99. 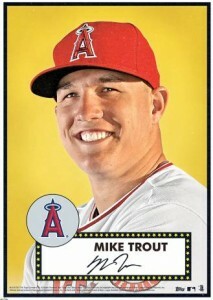 For those not into wall art, each of the 2015 Topps Tribute '52 posters has also been created as an over-sized trading card. Each measures 5x7 and is printed on glossy-style card stock. 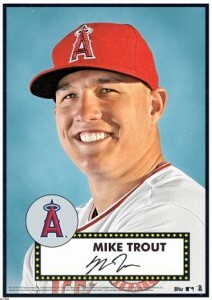 Regular versions of the team sets come with nine cards and are numbered to 99. For an extra $10, there are Gold team sets. Not only are they numbered to 49 but they come with a tenth card featuring a retired player that's not in the regular sets. Retired players are included in the posters as well but not the basic versions of the cards. 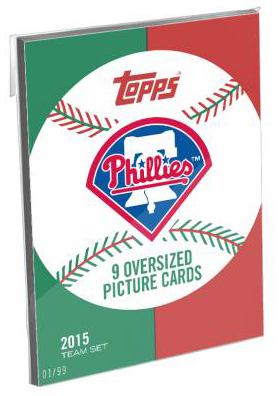 All told, 18 teams are featured in 2015 Topps '52. Each has nine current players plus one former franchise great. Retired players marked with * do not have regular Team Set versions, just posters and Gold Team Set. Why does Topps limit these issues to 18 teams? Why not structure the set to offer popular players from those 12 teams that are being snubbed? �for these players, one from each of the snubbed teams? FQ � A lot of the online stuff is testing things out to see what works and what doesn’t. Team sets are a major focus in this one. Perhaps if it’s popular, the other 12 teams could be added down the line. And maybe some defunct teams. Lots of possibilities.